Modern mainstream entertainment media is no alien to political satire and social commentary; aside from South Park creators Trey Parker and Matt Stone who are renowned Libertarians it’s predominantly left liberal. The start of the Simpsons episode “Opposites A-Frack” is incredibly banal and predictable in this regard, with the evil capitalist Mr. Burns causing damage to the citizens of Springfield by setting up a fracking plant, causing the water supply to become flammable from leaky methane. However, as the episode progresses more socio-political and economic themes become apparent, especially if you are a free market libertarian. Lisa, ever the American Liberal, calls on Democratic Assemblywoman Maxine Lombard to shut down Mr. Burns’ fracking plant. Here, we see the response of the contemporary Left to social problems and “capitalism gone wrong”; through collective decision making, a democratic force with a political representative can effectively veto or ban “self-interested” parties through the legislature to prevent them from imposing social costs on other people as they go about making profits. But alas, it’s not so simple. In a classic example of public choice theory and regulatory capture, Mr. Burns and the Democratic Assemblywoman begin (literally) sleeping together, having initially ordered the plant to be shut down. 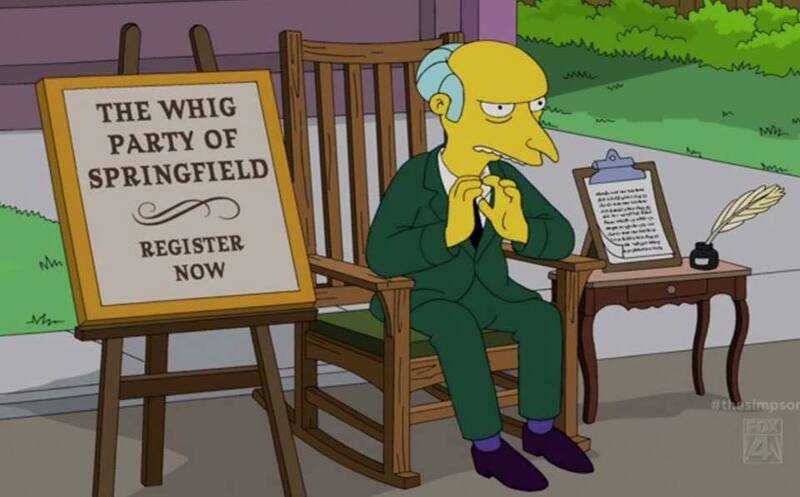 In the real world, public choice theory makes the observation that small, targeted interest groups (notably Mr. Burns and his industrial pursuits) have a large, immediate interest in currying political favour and have small costs of organisation (it’s just him, Smithers and the hounds). On the other hand, the costs amongst the populace, those being flammable water for the general population, are far more dispersed and less immediate. It’s therefore no surprise that, given the incentives, crony capitalists end up steamrolling over people’s wishes with political backing. In order to decide whether certain projects such as fracking should go ahead, the democratic system pits one interest group against another in a political arena, with only human discourse amongst a small group of people to evaluate all the information in society about how and where we should allocate resources. With such perverse institutional incentives, destructive and perverse outcomes arise that don’t take into account as many benefits and costs. So, if the democratic state is not an appropriate form of organisation for economic projects, what is? In a plot twist, The Simpsons writers come out in favour of a free market, propertarian solution instead of a politically democratic one: In order to carry on with the fracking operation Mr. Burns must pay every member of Springfield $5,000 as a form of “mineral rights”. Through this market mechanism the populace can now decide whether they value their immediate water supplies or some extra income, allowing everyone’s preferences to be taken into account in order to reach the “optimal” solution, that being “internalising” the “social cost” of fracking imposed on Springfield through Mr. Burn’s actions. It transpires that Marge Simpsons has refused to sign the contract, meaning that the project does not get the go-ahead and individual sovereignty wins out over political mingling as Burns and Lombard break up. 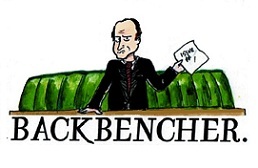 Whilst one could provide evidence as to why a fracking plant could be beneficial to the town, there was simply no way for a government bureau to accrue all the knowledge in Springfield to rationalise as to why it should be done. Whilst the propertarian approach is not perfect and suffers from its own collective goods problems (the rest of the citizenry are outraged that Marge stopped them getting their money) it takes into account far more information about actors and their preferences than democratic organisation. There is a clear distinction to be made here between contemporary neoliberal/conservative paradigms and classical liberal/libertarian ones. In this situation a neoliberal state may decide that imposed artificial markets or sponsoring capitalists would be “for the greater good” with economists providing evidence through models of the costs and benefits and most objectively efficient outcome, such as jobs or cheaper electricity, without respecting property rights or not taking all of them into account. A classical liberal, on the other hand, would not see such a move approved unless it took into account the property and wishes of sovereign individuals, or simply recognised that even government sponsored free market economists cannot predict or direct social organisation. 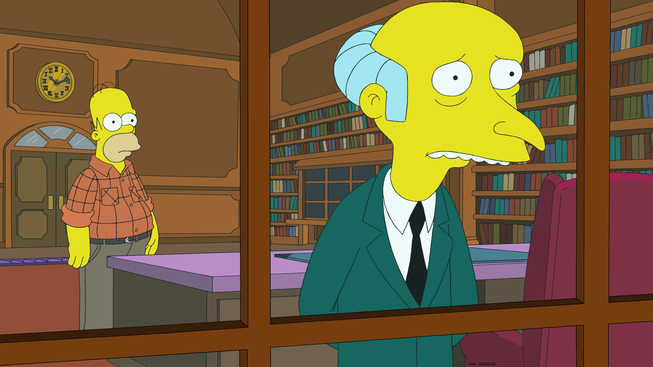 For example, Mr. Burns claims that Lombard is “anti-capitalism” for attempting to shut down his fracking plant, yet he falls victim to the misinterpretation of the market by the contemporary right wing: that capitalism is actually about property rights, private profits and private loss; not, as they believe, that business is good, and the government should sponsor it, even if it means overriding individual property. Rather, he is defending state-directed corporate enterprise; he is a mercantilist or fascist (scary word). Herein lies the distinction between pro-business business types and pro-market libertarians. Towards the end of the episode the state rears its ugly head again and Lombard uses Eminent domain laws to demolish Burns’ mansion and replace it with “public goods” which in this instance is a recycling centre, a Native American history museum and a Condor Sanctuary. Burns claims that these “bloated and ill thought out” projects could only be a product of the liberal left, and laments that “big government” is being used against him. Yet what he doesn’t realise is that the Democrats and Republicans are two sides of the same coin, one using State-directed “social initiatives” whilst the other uses State-directed “business initiatives” with little concern for bottom up projects arising under the price system; Mr. Burns is a product of big government himself! Both sides of spectrum fall short in that they operate under models which simply cannot take into account all the information needed to create rational, constructive plans for society, and for that the individual and their property needs to remain sovereign. Ultimately Mr. Burns fails to gain political backing for his project; the rule of law and Springfield’s property rights remained secure and they all lived happily ever after.